There's been a lot of talk about repealing and replacing the Affordable Care Act and what that would mean for the many people around the country who have been covered thanks to the bill. The ACA is an imperfect bill, to be sure, and part of that is reflected in what has happened with the healthcare exchanges in the last few years. UnitedHealthcare said last year that it lost $1 billion on its ACA plans. Last month, Humana said it would exit the exchanges in 2018. All this under the Obama presidency. One would think that even Democrats would seek a change. Yet, given they wouldn't back the Republican health plan, it seems they'd rather stick to their idealogical guns than try to fix healthcare. Even Oscar pulled out of exchanges in New Jersey and Dallas, two of its seven markets. With Oscar and other insurers pulling out, and the fact that the Health and Human Services said in February that there were 400,000 fewer members in 2017 than last year, it would seem we're nearing the end of the exchanges under the current policies, anyway. 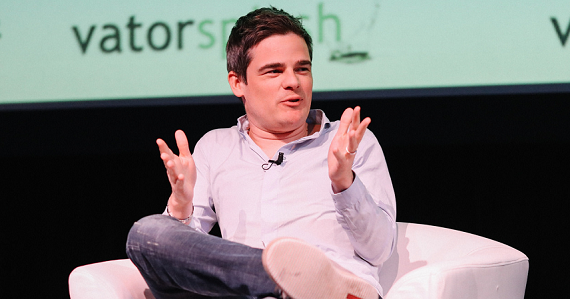 At Vator Splash Health on Thursday, Vator CEO Bambi Francisco sat down with Mario Schlosser, Founder and CEO of Oscar Health, and asked him if he agreed with Aetna CEO Mark Bertolini, who said that the exchanges are on a 'death spiral'. "No, I would disagree with that," Schlosser replied, noting that "the incumbents were already dragging their feet," even when it looked like the exchanges would work. "There is a real policy reason, and strategy reason, that they would be doing that. The strategy and policy reason is that the insurance companies, health insurers, were not set up to be consumer direct companies. Direct to consumer companies. They just weren't," he said, but are now being "thrust onto a market, where they have to deal with individuals making a choice every single year as to where they want to go." However, even with premium prices going up, people are still, for the most part, remaining as part of the exchanges they signed up for. "We don't see a sign that the exchanges are in a death spiral right now. The first sign actually is the enrollments. Prices increased from 2016 to 2017 by 25 percent nationwide; it was sort of like a reset year for premiums. Insurance finally had enough data to figure out where the risk truly is in the individual markets, and, yet, enrollment didn't drop very much," said Schlosser, a sign that it wasn't only sick people who were staying with the exchanges. He did admit, though, that the exchanges need "heavy fixes." For example, there were stabalization programs that Oscar had to provide that are now dismantled, meaning the government owes Oscar $200 million. Francisco asked Schlosser if he could guarantee that those who are insured on Oscar today will be offered coverage in 2018. "We will fight, for sure, very hard for that. We, I think, are so uniquely built around member experience. As I mentioned, not the ACA, but dealing with individuals directly, making individuals happy directly, by giving them healthcare coverage, that we are the ones who are probably going to fight the hardest, for sure," he said. Thanks to Splash Health 2017 sponsors: Advsr, AARP, Avison Young, Bread and Butter Wine, Surf Air, Stratpoint and Scrubbed.